Spacious and fully equipped self catering apartments. The apartments are grouped in either three storey clusters in the centre of the resort overlooking the main pool or two or three storey units winding around the periphery, many looking out onto the mountains and the Aloha golf course. Tastefully decorated with marble floors throughout, the apartments have both air conditioning and heating systems. Each apartment has a flat screen TV with UK freesat channels and a DVD/CD player. The kitchens are fully furnished with a washing machine, iron, dishwasher, microwave and fridge freezer; everything you need for a comfortable self-catering holiday, be it long or short term! The spacious master bedrooms are fitted with a hairdryer and a safe for your convenience. Towels and bathrobes are provided and pool towels are available from reception (small deposit required). Infants are catered for with cots, highchairs and stairgates available on request and without charge. This apartment comes with one or two bathrooms and can sleep up to 6 guests. Made up of a living room/dining room with twin sofa bed, kitchen plus one double bedroom and one twin bedroom. There are a range of apartment designs but all are single storey and the majority are located on the ground floor with a small garden. Some apartments have one bathroom and a social cloakroom with WC although most enjoy two bathrooms, including one en-suite. This spacious townhouse comes with one or two bathrooms and can sleep up to 6 guests. Ground floor comprises of a living room/dining room with twin sofa bed and a separate kitchen, the terrace doors lead out onto a small garden area. Upstairs are the bedrooms, one double and the other twin. From the master bedroom is access to a balcony and a spiral staircase leading up to a large roof terrace, ideal for guaranteed all day sun. This immense apartment comfortably sleeps up to 8 guests. The lower floor includes a fully equipped kitchen, social cloakroom with WC and a large living/dining area with a twin sofa bed plus access to a spacious sun terrace. On the upper floor there are two twin bedrooms with separate bathroom and one large master double bedroom with en-suite bathroom. On the third floor there is the added benefit of a large roof terrace. Get connected throughout your stay wherever you are. 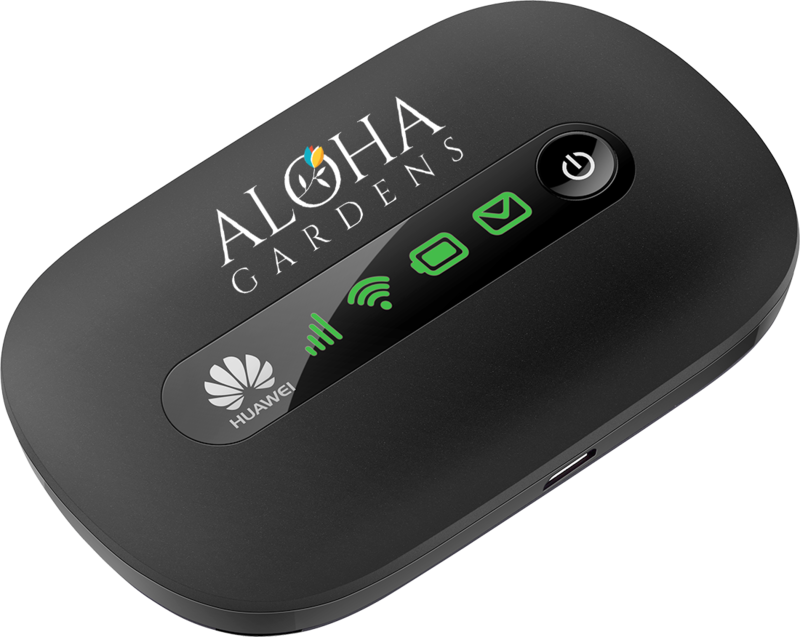 Book directly with Aloha Gardens and receive a Free internet modem for your full stay, valued at 8€ per day! *Not valid in conjunction with any other promotion or discount. Book Today!